Transcend Memory cards are mainly compatible for digital cameras, mobile phones and other portable devices. It has many card types, such as SD Cards, MicroSD Cards, CF Cards, XQD card, SDHC, microSDHC, microSDXC, SDXC UHS-I UHS-II and SD mini. 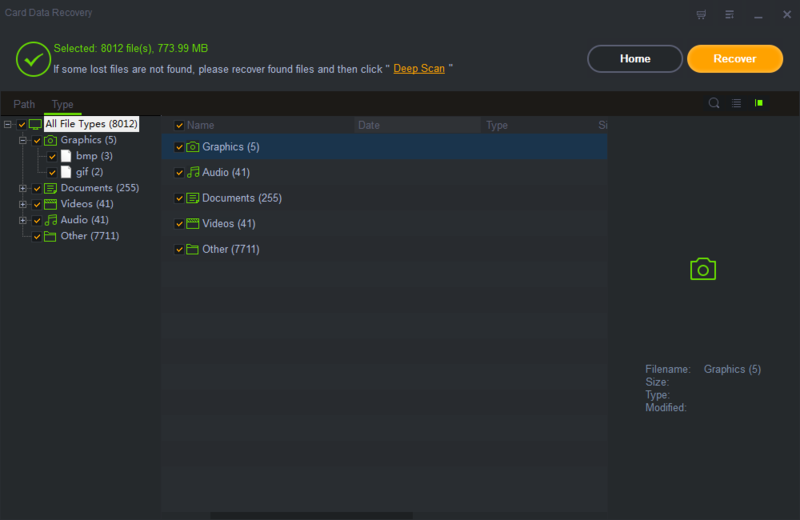 We always store files like photos, videos, movies, video clips and documents on it for backup, or transfer files between Transcend memory card and computer. The fact is that we're likely to loss data from Transcend memory cards due to various situations. Different circumstances can lead to data loss like Transcend memory card files are deleted or erased by some data eraser programs, you forgot to backup Transcend memory card while formatted the card, Transcend memory card is inaccessible or unreadable, Transcend memory card is corrupted and your Transcend memory card is virus attacked, all files can't be opened. 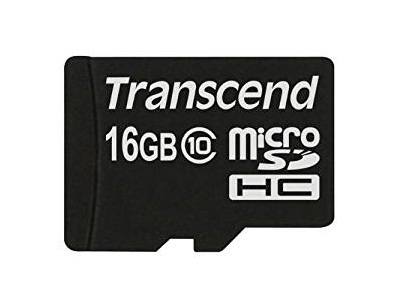 If you have lost data from Transcend memory card, stop using the device immediately to avoid data loss forever because lost files are still on your Transcend memory card, you can retrieve all files unless they are overwritten by new adding ones. 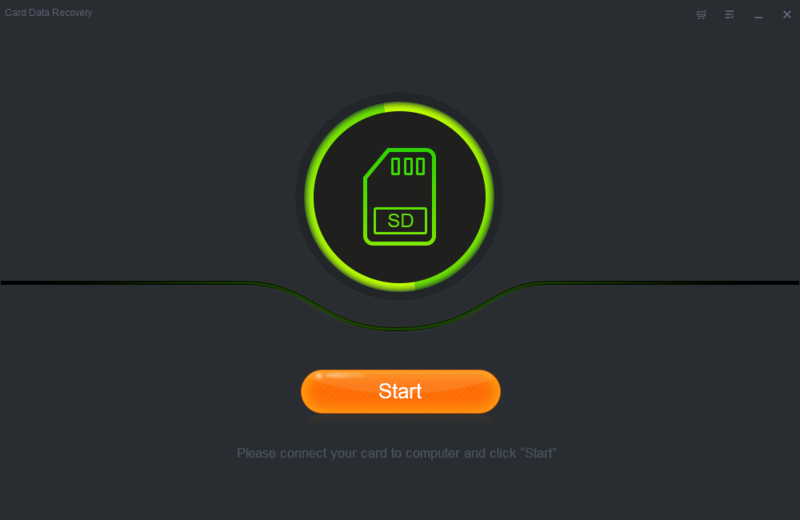 Transcend Memory Card Recovery software is the effective Transcend card recovery solution to restore any deleted or formatted data. Connect Transcend memory card with your computer. Install and run Shining Card Data Recovery. 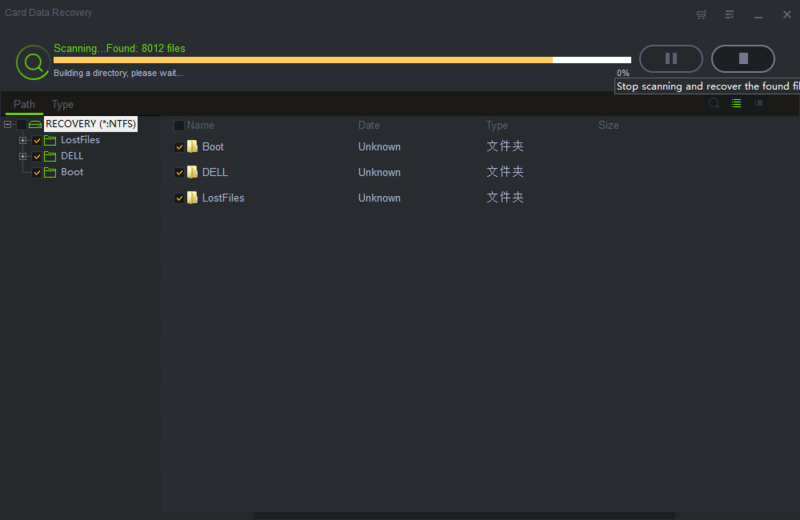 Click "Start", select the Transcend memory card, and then click "Scan" button. 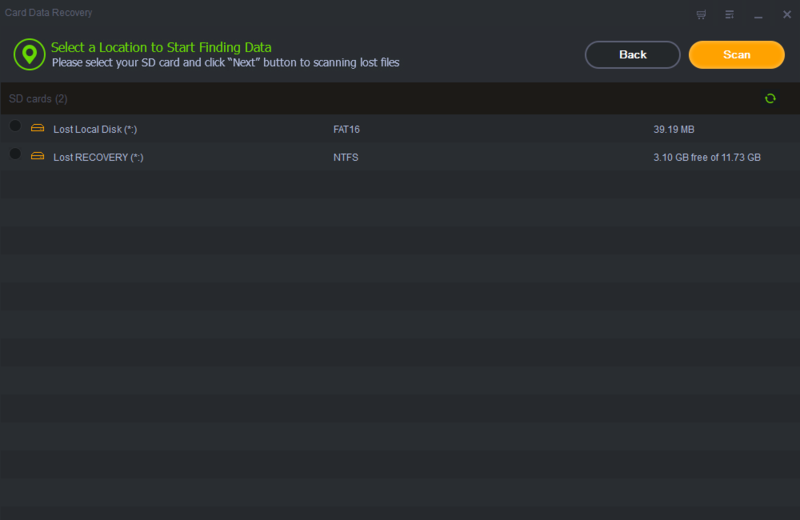 Preview found files after scanning; click "Recovery" to save them to another storage media.